MIPIM UK is the largest property summit for all key stakeholders in UK real estate to connect and do business. This annual event will take place in the Olympia, London, 18 -19 October. ‘Northern Ireland is the best UK region to invest in’ was the key message delivered by representatives from financial services giant Citi, Chief Economists and senior Council officials who participated in a joint business panel discussion held in the Business Showcase lounge at MIPIM - the UK’s largest property and investment exhibition. “The investment we have made in Northern Ireland to date demonstrates our commitment to the region. Our operations here are an integral and value added part of our global business models, some of which are centred in our Belfast offices. The ability to tap into the graduate programmes at universities, the rich pool of talent across the wider population, proximity to our key markets and strong relationships with key stakeholders have been contributing factors to our success. 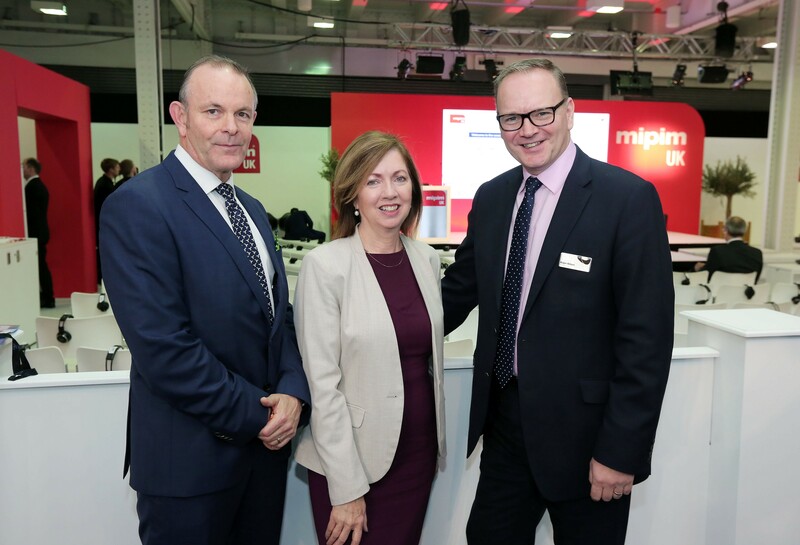 The collective strengths of Northern Ireland was the focus of the first day at MIPIM UK with the Department for International Trade/Invest NI launching the NI Portfolio (showcasing £1.3bn of investment schemes). As a location Northern Ireland has exactly what Investors are looking for; a skilled workforce, advanced infrastructure, competitive costs and excellent support packages. Post-Brexit, Northern Ireland will find itself in a unique position and the proposed reduction in Corporation Tax to 12.5% will place further focus on the area. Promoting their specific Council areas as excellent investment locations, representatives from Armagh City, Banbridge & Craigavon Borough Council and Lisburn & Castlereagh City Council also highlighted their key benefits at the MIPIM UK event. Chairman of Lisburn & Castlereagh City Council’s Development Committee, Alderman Allan Ewart, MBE, said: “We are delighted to work in partnership with our neighbouring Council to promote Northern Ireland as a desirable investment region as well as specifically focusing on own Council area and our unique proposition. Councillor Sam Nicholson, Deputy Lord Mayor of Armagh City, Banbridge and Craigavon Borough said: “We believe that partnerships and collaboration are key to helping Northern Ireland realise its full investment potential – not only between the public and private sectors locally, but between neighbouring councils, as has been the case today. Whilst we each have key selling points to convey about our respective regions, combined these make for a very strong proposition for investors, developers and occupiers investigating new opportunities in Northern Ireland. The joint business panel event was hosted by Broadcaster and Business Journalist Mr Declan Curry. Other panel members included Mr Neil McIvor, Department for International Trade; Chief Executive of Lisburn & Castlereagh City Council, Dr. Theresa Donaldson and Chief Executive of Armagh City, Banbridge & Craigavon Borough Council, Mr Roger Wilson.